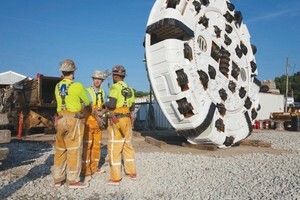 The rebuilt Robbins hard rock TBM had already been used in Indianapolis on the 12.5 km long main tunnel, called the Deep Rock Tunnel Connector (DRTC). However, the DRTC was far from the TBM’s first job. Originally built in 1980, it has been used on New York City’s Second Avenue Subway, as well as projects in Massachusetts and Canada. Once the machine has completed the DigIndy network of tunnels, it will have bored more than 51 km of tunnel – making it one of the hardest working Robbins TBMs ever put into service. “The age of the machine wasn’t a concern for us, it was a positive. We knew it could perform in harder, abrasive rock,” said Stuart Lipofsky, Project Manager for S-K JV. 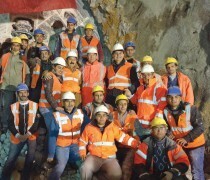 The machine was launched from the 67 m deep White River shaft following a refurbishment that included new motors, gearboxes, electronics, and other elements. 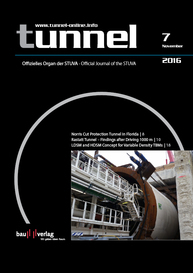 As of the last week of September 2016, the TBM has bored over 300 m of the White River Tunnel. About one mile into the tunnel, the drive will bifurcate eastwards to bore the 2.7 km Lower Pogues Run Tunnel in front of Lucas Oil Stadium in downtown Indianapolis. 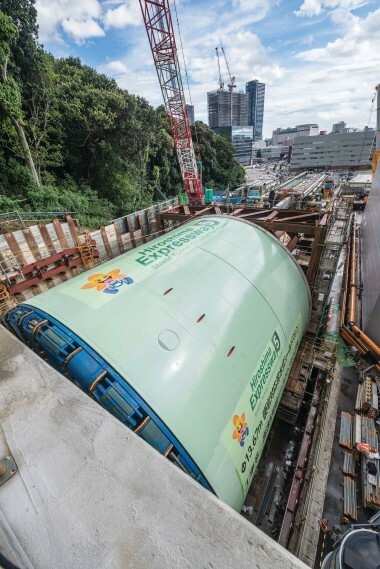 The machine will then be backed up to the bifurcation point before continuing north for completion of the White River Tunnel. As the machine bores, Robbins continuous conveyors remove muck in an extensive system that was highly successful at the DRTC. Much of the conveyor structure remains the same for the new tunnels. The conveyors will wind through curves as sharp as 300 m in radius, as the tunnels follow the path of the White River overhead. The S-K JV has until 2021 to complete the White River and Lower Pogues Run tunnels for local owner Citizens Energy Group, and until 2024 to complete all the tunnels. 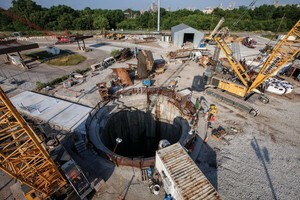 The use of only one TBM was seen as a positive: “The schedule allowed us to run with one TBM and we feel we can do it. It also was a less costly option than running two machines in terms of the owner funding the project,” said Dan Martz, vice president for J.F. Shea. 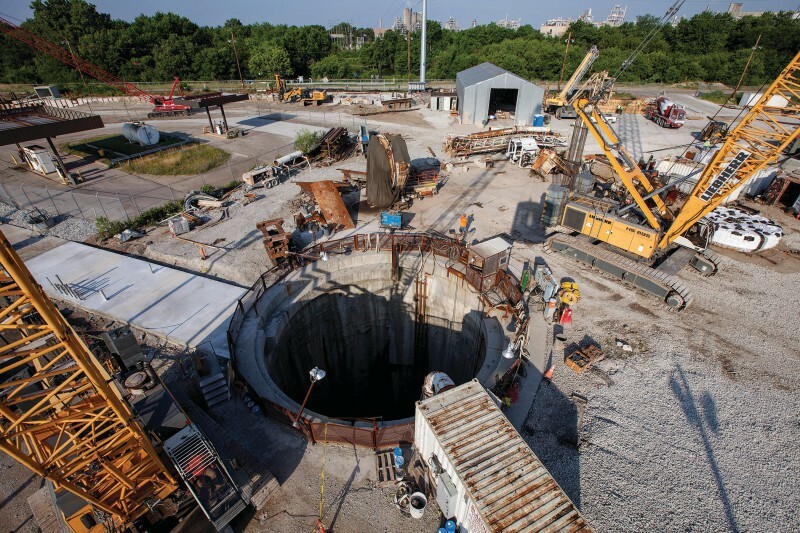 Once complete, the EPA-mandated deep tunnel project will reduce the amount of raw sewage overflows and clean up tributaries along the White River.